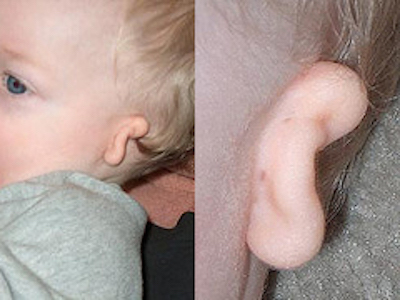 Microtia is a congenital ear deformity where the outer ear (pinna) is not fully developed. In some cases it’s possible that the outer ear is completely undeveloped in which case the pinna is referred to as anotia. Microtia is also associated with an absent or narrowed ear canal resulting in significantly decreased hearing ability. Microtia can affect one side or both sides and occurs in approximately 1 out of about 9,000 births. Although there are speculations, the cause of microtia is unknown. The good news is that in most cases it can be successfully repaired through medical/surgical procedures. Give us a call today to schedule a time for a free consultation with Dr. Griner.